ATSites.net was founded by a career web developer making Custom Web Development a pillar on which we are built. Build sites that look perfect at every viewport size. Be device agnostic and seamlessly flexible. Think through the users interactions to ensure a comfortable and convenient movement from feature to feature. Maintain consistency across a multitude of browsers and devices by adhering to strict coding standards and industry best practices. See how we can help you reach your customers where they are - on their mobile devices! Give your website the look of a "native app" on any device or screensize. No separate versions of the site to maintain. "Enhancing customer satisfaction and loyalty by improving the usability, ease of use, and pleasure provided in the interaction between the customer and the product." Design with the focus on the user's experience and interaction. Good user interface design facilitates finishing the task at hand without drawing unnecessary attention to itself. Have fully functioning prototypes built on demand to fit your needs. Be able to provide tangible examples of what you are proposing to clients or management. Fast, targeted results built to order. Provide fully marked up and styled content to your application developers so they can focus on the things they do best. Provide working code samples to inspire and motivate your own people. Give them direction that they can take and run with. Learn an all new markup to structure content in a future-proof manner. Enable your content in ways you never thought possible. No more embedding complex code or Flash to display your media content. Simple tags with wide-ranging support improve compatibility. 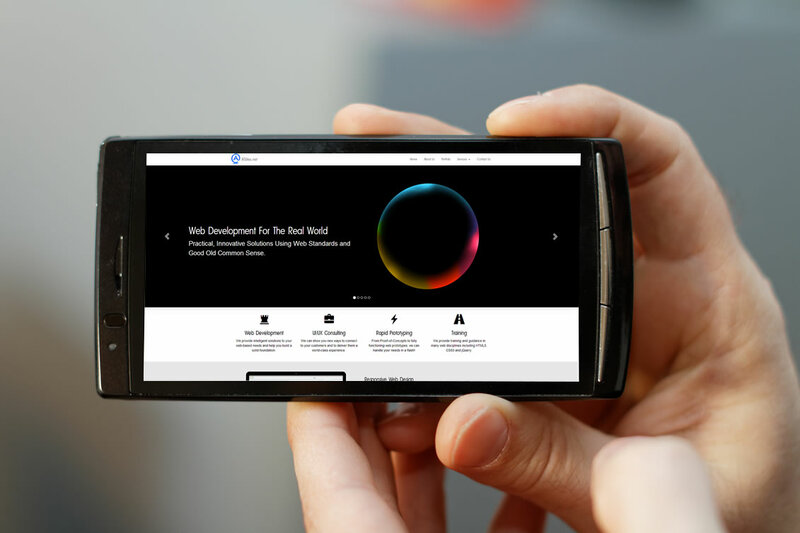 Give mobile users a "native" experience using HTML5 markup and responsive web design. Drag-and-Drop, offline storage and document editing are all features made available via HTML5. Find out how efficient CSS can speed up development and increase cross-browser compatibility. Speed up your site's loading time with styles instead of images. Improve performance and compatibility by creating hover, mouse down or transition effects using CSS instead of scripting. Give your site a more beautiful appearance without having to load in images, even on retina displays. No longer are you tied to whatever fonts the user has on their device. Make your site stand out from the rest with custom or web-hosted fonts. Extend your client-side scripting with training in the jQuery libraries. Quickly empower your developers to do more in less time. Speed up development while keeping the code clean. This improves managability and stability. Dynamically generate code on-demand to prevent your pages from having to load content that the user doesn't need. Content can be tagged with SEO-friendly descriptions that will improve your search rankings. Amplify your team with training tailored to fit your needs and to fill core competencies.